Congratulations to the winners Barry and Kathleen Schmaus from Bruce, AB. 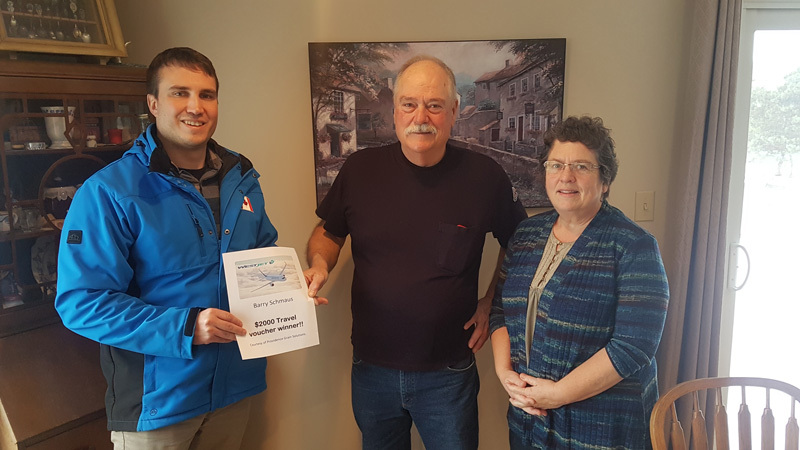 Kalen Luck, of Providence Grain, presented them with the $2000 travel voucher as the winners of the promotion for simply dropping off samples at their local elevator this fall. These very satisfied customers will now get some much deserved time away after this challenging harvest! Follow us for future promotions and contact your local elevator to get added to communication lists for daily prices and our next programs.